Fr. Vazken's Sermon on Divorce - it's not about judgment, but about moving on. The Armodoxy perspective. 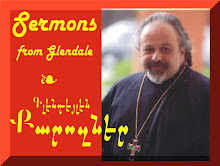 On scriptural passage - Matthew 19:3f - Recorded LIVE at the St. Peter Armenian Church and Youth Ministries Center on July 29, 2012.